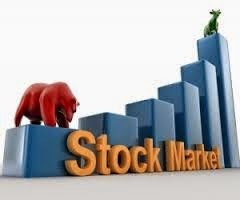 Stock Market Trend: The market continues to trade in a narrow range, but will see volatility in selected stocks. Next week Election will be started Quarterly results will start to come too much volatility in the atmosphere will continue to be filled. last weekend Friday nifty looked in red zone with profit booking in infra, energy, auto, fmcg, and IT share, while pharma and metal share look in green mode. IDFC : company gain banking licence and started within 18 month , so share will be increase. Reliance Power: Energy and power sector will boost in this year after new goverment and lot of possibility for power share. I admire the valuable advice you make available in your expertly written content. This is the first time i am reading your post and admire that you posted which gives users lot of information regarding particular topic thanks for this share. nice post. I agree with the article. Really appreciated. forex trading tips good strategy should be apply while trading in market. Gold futures fell the most in a week as declining U.S. jobless claims signaled a rebounding economy, reducing demand for the metal as a haven.